In this ongoing Monday Series we will be exploring various artists versions of Bob Dylan song's. Today's artists, Anders Osborne performing a live cover of "Rainy Day Women #12 & 35"
This month we have a special focus on Artists who will be playing the 2018 Jazzfest in New Orleans. 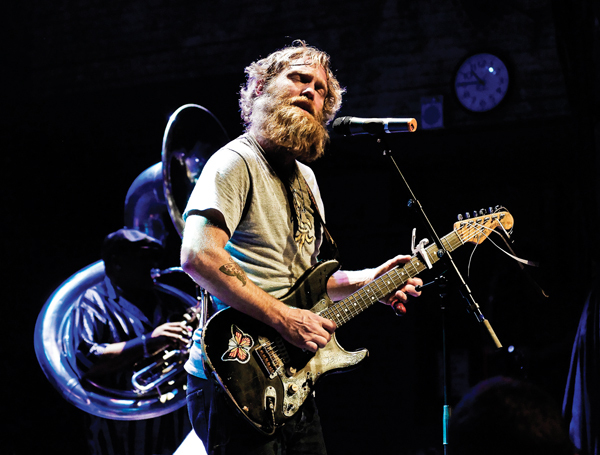 Today we highlight New Orleans own Anders Osborne who opens the Acrua Stage Sunday, May 6th. We covered Anders a bunch on this site, reviewing a few of his not so great albums and yet great live shows, featuring him on Full Show Friday's and even once before in this Monday Dylan series. We enjoy him and when festival time rolls around it is always a pleasure seeing him rip on electric guitar. A fun cover with added harmonica and slide power guitar. This song should be a rambling rollicking good time and this version clearly is just that. Maybe we will catch him performing this fun cover under the blue skies in just a few short weeks!